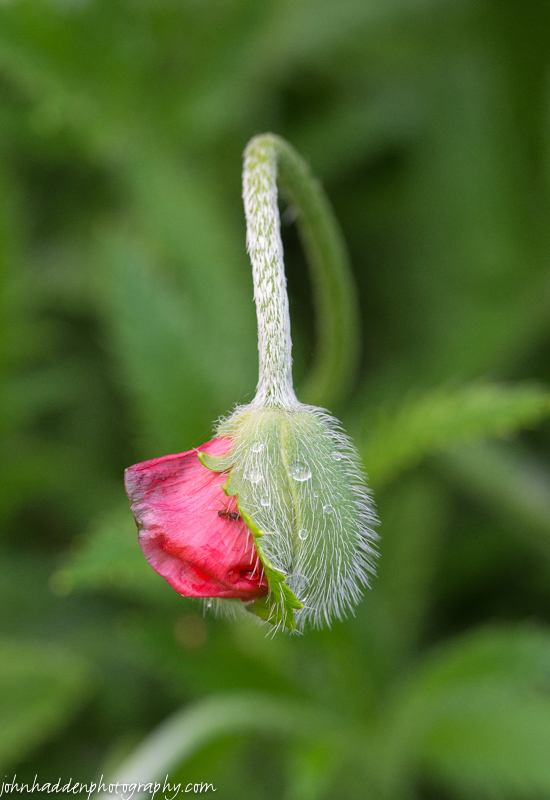 I take a picture like this almost every year as I can’t resist the humor of a poppy blossom seemingly sticking its tongue out at me. A tiny ant is along for the ride. 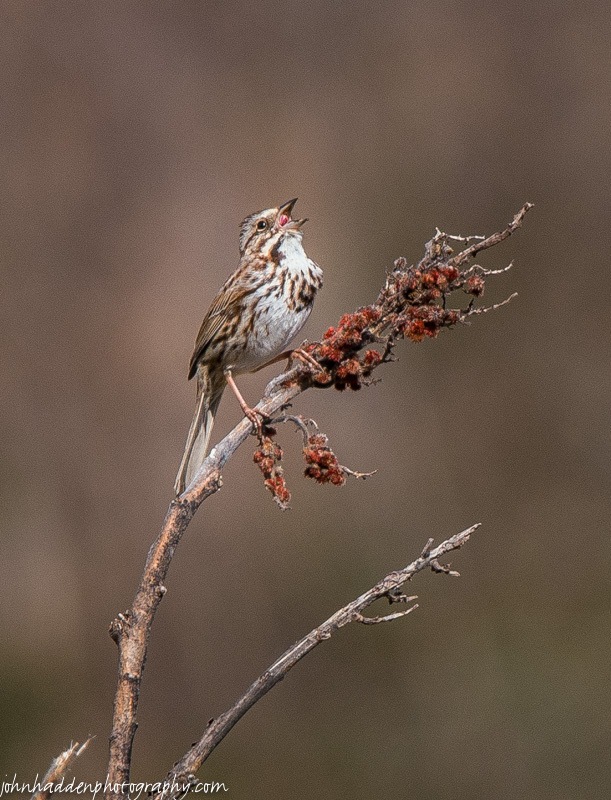 I spent some time stalking this song sparrow yesterday morning as he hopped about in the sumac in part of our front field. He didn’t seem too bothered by my presence, allowing me to get in fairly close as he hopped from branch to branch pausing to loose is lovely song. 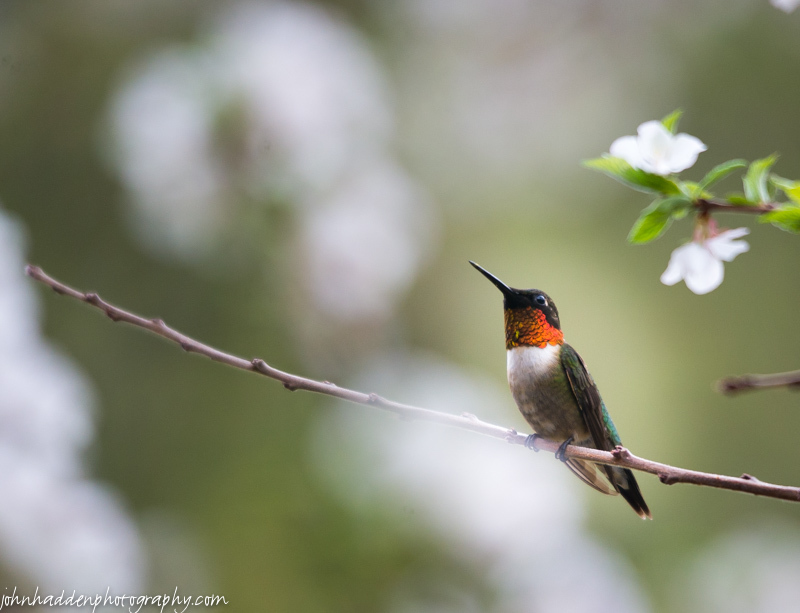 Nikon D600, Sigma 120-400mm lens @ 400mm, ISO 800, f/8, 1/1250″ exposure.